Mindfulness training and hypnotic suggestion significantly reduced acute pain experienced by hospital patients, according to a study done at the University of Utah and published in July 2017 in the Journal of General Internal Medicine. A release from the university notes that after participating in a single, 15-minute session of one of these mind-body therapies, patients reported an immediate decrease in pain levels similar to what one might expect from an opioid painkiller. This study is the first to compare the effects of mindfulness and hypnosis on acute pain in the hospital setting. The yearlong study’s 244 participants were patients at the University of Utah Hospital in Salt Lake City who reported experiencing unmanageable pain as the result of illness, disease or surgical procedures. Willing patients were randomly assigned to receive a brief, scripted session in one of three interventions: mindfulness, hypnotic suggestion or pain coping education. Hospital social workers who completed basic training in each scripted method provided the interventions to patients. While all three types of intervention reduced patients’ anxiety and increased their feelings of relaxation, patients who participated in the hypnotic suggestion intervention experienced a 29 percent reduction in pain, and patients who participated in the mindfulness intervention experienced a 23 percent reduction in pain. By comparison, those who participated in the pain coping intervention experienced a 9 percent reduction. Patients receiving the two mind-body therapies also reported a significant decrease in their perceived need for opioid medication. 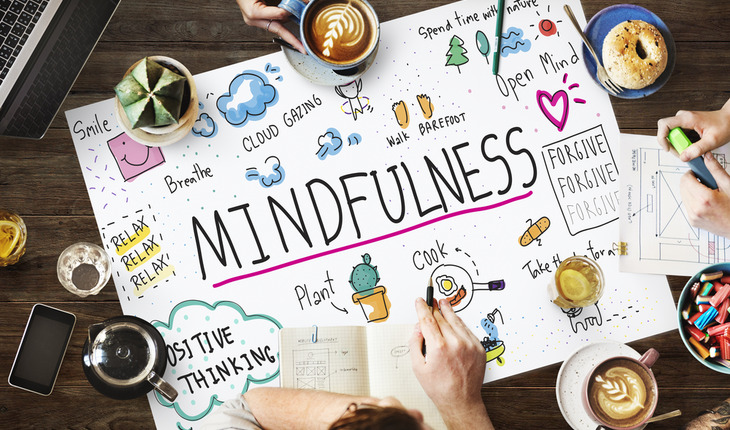 Garland’s previous research has indicated that multi-week mindfulness training programs can be an effective way to reduce chronic pain symptoms and decrease prescription opioid misuse. This new study added a novel dimension to Garland’s work by revealing the promise of brief mind-body therapies for people suffering from acute pain. Garland and his interdisciplinary research team aim to continue studying mind-body therapies as non-opioid means of alleviating pain by conducting a national replication study in a sample of thousands of patients in multiple hospitals around the country.